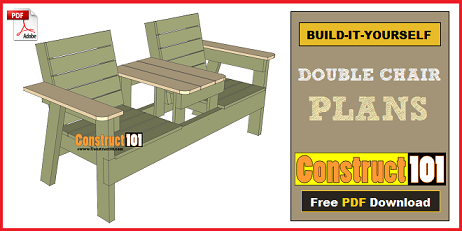 Double chair bench plans from Construct101. Plans incude a free PDF download, step-by-step illustrated instructions, shopping list, and cutting list. 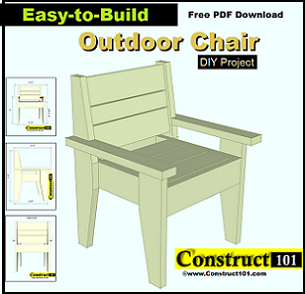 This outdoor chair will look great in your patio or backyard. The chair is constructed with 2x6's and 2x4's. The detailed plans makes it easy to build regardless of your skills. You can see the complete plans and download by visiting the site. 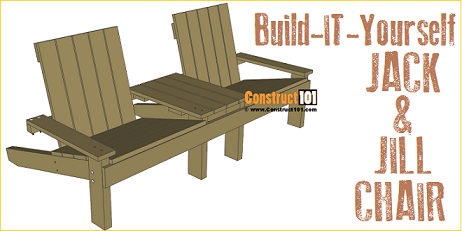 Build a pair of these outdoor chairs in just one weekend. Complete easy to follow detailed plans. It's an object that no one will want to hide, because it simply looks so good: the Adirondack chair. Online shopping for Garden Chairs from a great selection of Garden & Outdoors; Wood, Metal, Plastic and more at everyday low prices.